Reserved a vehicle on March 26th, 2019 for 4/05/2019-4/08/2019 When I was ready to pick it up they had NO vehicle available for me!!!!!!!!!! Will NEVER recommend them to anyone!!!! 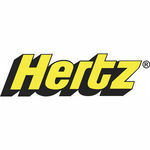 Worst experience I have ever had with a car rental company!!!! I was called on 4/04/2019 to confirm that I was still in need of a vehicle, I said yes and set up the pick up time for 1:30 pm on 4/05/2019. I was called at 1:15 on 4/05/2019 and was told 2 vehicles that I had reserved were turned in but both had damage and needed repair. The lady told me they were searching for a vehicle for me and would call when they had one. No one ever called back so I called Enterprise at 3:30 pm 4/05/2019 and was told by another employee that there were NO suv's tuned in on 4/05/2019. When I told him about the lady telling me about the 2 that were turned in and asked who was lying, him or her, he said what he stated was that no suv's that were able to rent were turned in! I DO NOT like to be lied to in this manner!!!!!!!!!!!!!!! Needless to say, I DID NOT get a vehicle from Enterprise for my trip!!!!!!! If Enterprise treats everyone of it's customers in this manner, how do they stay in business????????? 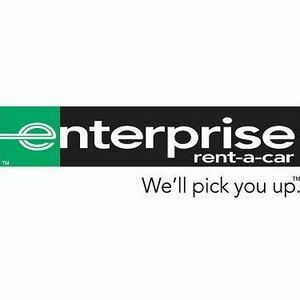 I will NEVER recommend Enterprise nor will I ever attempt to rent a vehicle from them again!!!!!!!!!!! WORST car rental place ever!!!!!!!!!!! I would've left no stars but it wouldn't let me. My oldest son moved from Bimingham, AL to St Louis, MO and my youngest son and 2 of his friends helped in a Uhaul. My oldest reserved a car thru Enterprise for my youngest and his 2 friends to drive back home. His reserved it on the phone and when they went to get it in St Louis thevwoman told him she can't take a debit card she needs a major credit card. He was NOT told that when he made the resrvation and they used the same debit card to make the reservation. He explained my other son and his 2 friends had to get back home and unless he had a major credit card there was nothing she could do. He is in school. So he is stranded in St Louis until I can get there and get them. 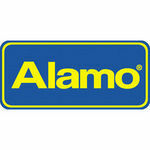 We have used Enterprise several times but I will Never use them againnand I will never recommend them to anyone. 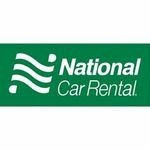 This review is specific to my horrible experience at Enterprise Rent a Car at the SJD Los Cabos International Airport location. For reference, I have rented cars in Cabo, Mexico for over 5 years. Each experience had it's challenges, some better than others but this one was by far the worst. 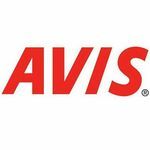 I think there's a common perception that you are getting swindled when you rent a car in Cabo and these guys truly make that perception a reality. Very disappointed in my experience with Enterprise at the Cabo Airport. I booked a minivan for my family but was given a much smaller Jeep. I spend almost a hour telling them I didn't want a small discount on the Jeep, I just wanted the more expensive minivan that I had reserved. I was willing to pay more for the minivan as I wanted the extra space, hence, why I made the minivan reservation in the first place. They finally told me to take the Jeep to the hotel and they would drop a minivan off at the hotel the next day. Needless to say, that never happened. They just said that to get me on my way. I should also mention that the mandatory insurance that I accepted was listed as "Upsell" when I asked to review the numbers on their computer screen. Upon returning the car, they ended up giving me a small discount. It wasn't anything to repair the terrible experience. My fault for not taking a closer look at the final bill as I was focused on getting to the airport and getting my family through security but they actually charged me a late fee though I was not late! The small discount they gave me was recaptured by the staff by charging me a late fee! As my family and I were waiting for the airport shuttle, I could overhear multiple families complaining and dropping "F-bombs" and saying "I don't trust these guys at all!" I'm a big believer in online reviews and the power of the collective people. Over 99% of my online reviews are very positive (4-5 stars). This is my first 1-star review and Enterprise at the Cabo Airport earned it. I've rented cars from Enterprise for more than a decade and they have always been above other companies in customer service and has tried to accommodate the member of member of our travelling group with physician limitations. No longer is that the case. My November 2019 rental in Detroit they stopped and even with getting the manager in the loop didn't turn things around. They seem to be losing their edge in terms of helping customers. LEARNED TODAY WHEN MAKING A RESERVATION FOR MY SON WHO HAS A MILITARY ID THAT ENTERPISE DOES NOT OFFER THE MILITARY ANY DISCOUNT UNLESS THEY ARE ON ORDERS. WHAT A SHAME ENTERPRISE. 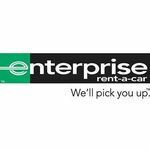 Enterprise Car Rental has truly earned my brand loyalty by the no hassle approach to costumer service. I use the service for business and leisure travel and never disappointed by the service I receive. My past trip to Atlanta, I rented one car for the weekend, which was great and another SUV from the airport for a week. Both times the people were what made the experience truly satisfactory. I love how with Enterprise I always get a great car. Runs well, very clean, not super old and rundown. I hate renting from other places because I have had so many mechanical issues with them. Besides the fact they give you the worse cars they can find. I am part of their rental program and you get days off when you use your points. I think its the best. I called the Redmond Enterprise branch this morning on the 4th of August 2018, to confirm that they had availability. I was told they most had availability for various different vehicles that I was interested in. I then proceeded to book online and I made my booking for 2 pm on the same day of the 4th August 2018. When I arrived I was told that there were absolutely no cars available and I should just come back at 9 am the following day when there "should" be some cars available. Am I expecting too much, that if I make a booking on their website and even call first for confirmation, that a booking should not go through or be accepted if the car(s) is not available? Is that too much to ask? I really felt that the situation was treated with such a cavalier attitude. What if I had set plans that I could not break and I was relying on this vehicle to get somewhere by a certain date(s) and time(s)? ... Just shocking!